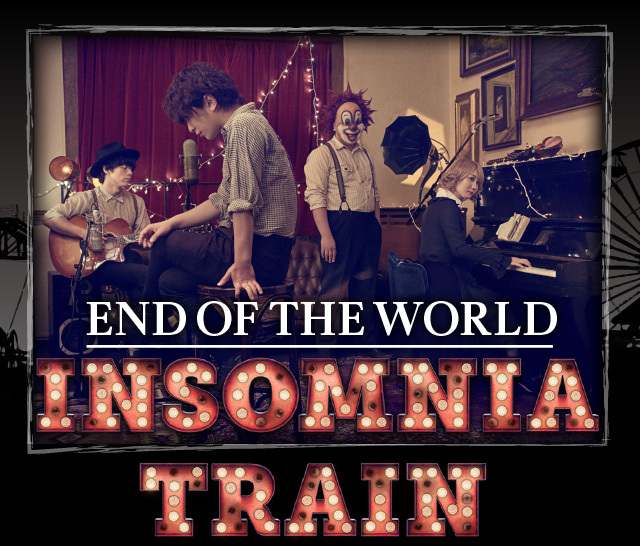 END OF THE WORLD "INSOMNIA TRAIN"
About Hokkaido performance, the FAQ has been added to the official site. Please take a look once before coming to the venue. For details, please visit the [FAQ] page in the special site. END OF THE WORLD "INSOMNIA TRAIN",but a considerable traffic congestion is expected. We will recommend using the official access plan for a smoother venue access. Official tour buses and free, pay shuttle buses, depending on the venue, car park access tickets that can be accessed by the car, air from nearby major cities, JR, accommodation plan etc. We are preparing. *All advance booking is required. Also, as there are limitations on popular access methods, we recommend that you check as soon as possible. Each plan will be different for each performance, so please see the [Access] page in the special site for details. Hokkaido performance, stage set has been added. For details, please see the [Map] page in the special site. the customers who have purchased the tickets for END OF THE WORLD (in Hokkaido) from Rakuten Ticket. 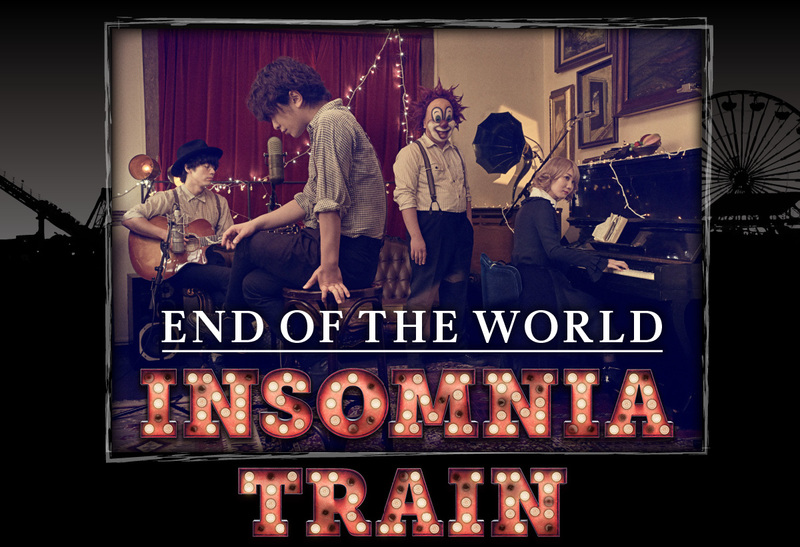 *For the opening time of each venue, please check on SEKAI NO OWARI "INSOMNIA TRAIN" special site. This is an important notice to inform you about the concert. ●Please print out and bring "[Rakuten Ticket]Ticket Order Confirmation mail". ●Please show this email and your ID at Will call. *Please come to the ticket counter during business hours. We will not exchange tickets outside business hours. It may take time to replace the ticket. Please come to the ticket counter as soon as possible. Will Call at Takino Suzuran Hillside National Government Park "SEKAI NO OWARI【person concerned reception】". *You'll see our reception at next to the Central entrance gate. Visitors to the Hokkaido performance are supposed to come by shuttle bus everyone. ・Shuttle bus tickets require ticketing (free) in advance. ・For details on the special shuttle bus from Makomanai Sekisui Heim Stadium to the venue, please confirm from the site below. If you can not purchase a shuttle bus ticket, please go to Makomanai Sekisui Heim Stadium first. There are JTB travel staff there, so please tell us that you have not purchased it. Those at least 3 years of age at the time of the event day need to pay for a ticket; up to one child at the age of 2 or younger per one adult does not need to pay for a ticket. Minors are required to obtain a consent of their guardian(s) for admission. An elementary school student or younger has to be accompanied by their guardian(s). For designated seats, one child at the age of 2 or younger per one guardian is allowed to watch the performance with sitting on such guardian’s lap, provided that such child needs to pay for a ticket if he/she needs another seat. In the context of our live performances, a guardian is supposed to be at least 20 years of age; those under the age of 20 may be considered to be guardians if they are ones with parental authority. An accompanying person (at least 20 years of age) may be considered to be a guardian if he/she has been authorized/assigned as a guardian by a person with parental authority of the relevant child regardless of such accompanying person’s relationship to such child. You will not receive a refund in case that the performance is cancelled after it has started. Your view might be partially blocked during the performance due to a part of stage effects and/or the positons of performers. You are not allowed to enter the venue on the event day with a ticket that has been purchased via an online resale site or the like. You may be required to show what can identify your child’s age at the time of admission. For the live performances in Kumamoto, Hiroshima, Niigata, Miyagi and Hokkaido, a ticket fee includes the admission fee to respective parks. For the live performance in Yamanashi, a ticket fee includes the admission fee to Fuji-Q Highland. This is a ticket for which holder we prepare for his/her own designated standing room within the designated blocks. We do not prepare for a seat for designated standing room ticket holders. A designated standing room ticket holder is expected to stand on the room for watching the performance according to the number listed on his/her ticket. The location of one’s designated standing room is to be determined based on the organizer’s random drawings. A designated standing room ticket holder must enjoy the performance within his/her own designated space so that he/she does not bother other audiences. Only for the live performance in Niigata, designated standing room ticket holders are to watch the performance from an area behind the designated seats area. This is a ticket for which holder we prepare for a designated seat. A designated seat ticket holder is expected to sit on the seat according to the number listed on his/her ticket. The location of one’s designated seat is to be determined based on the organizer’s random drawings. Designated seats ticket holders are prohibited from watching the performance with standing on their seat.